After being reborn in a sci-fi ABO world, Xi Wei became the newly born son of the Imperial King. He thought, as the emperor’s son he could live a carefree and imposing life, but unexpectedly the First Prince is actually an omega? What the hell is an Omega? There was an alpha who was born on the same day as the First Prince Xi Wei, the two children grew up together. When Xi Wei looked at the blonde child next door, he always felt that the boy was not pleasing to the eye, so as a child Xi Wei bullied him. Looking at the man standing in front of him who was one head taller than him, Xi Wei was dumbfounded. –He tried to get out of the way, but eventually still fell into his childhood sweetheart’s clutches. I also read this through google translate. It's a rather cute novel about the (transmigrated) eldest prince (omega) and his childhood friend (also transmigrated) and how the childhood friend thrives to win the princes heart. The story begins before ABO Cadets and lasts until the end of ABO Cadets - so you cannot read this as a prequel, as everything that happens in ABO Cadets will be mentioned in the last 10 chapters of Runaway Guide in a shortend version. The characters are nice and have personality.. But somehow the story never really... more>> showed any purpose other than the ML wanting to capture the MC. In this aspect ABO is better, because the MC and ML have both goals and there is a neat storyline with a satisfying ending. So, as you can see, I have only read one chapter. I really enjoyed it! I'm mostly here to offset the random troll who gave a two star rating for no apparent reason (BL hater?). Editing to add: I love it. No changes here. The intro was well done, the story set up is intriguing, and the description sounds great. Once we get further along with the translation I will be back to amend this. Looking forward to where it goes! To be honest, the moment I saw this was an ABO novel, I was instantly hooked. And man, did I not regret it. If you like concepts like ABO/Omegaverse, this is the story for you. Especially if you've read part of ABO Cadets. 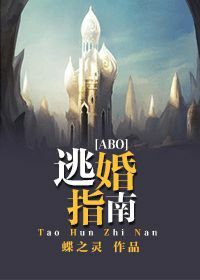 This story is basically the prequel to ABO Cadets (as you gradually find out why by the time it's chapter 20 or so) towards the beginnings, however, it's likely to move towards the same timeline as in ABO Cadets. Aside from that, this story is already particularly interesting and amusing... more>> as the characters come to life. Rather than having a weak Omega character, we have a strong-willed and Omega (similar to the one in ABO Cadets, except in his case, he already knew he was an Omega). the two main characters, have reincarnated into this universe and weren't originally part of it like in ABO Cadets. Basically, the famous Xi Wei was reborn as a strong-willed Omega, and his manager housing an intense and passionate one-sided crush on Xi Wei was also reincarnated after the car accident, into an Alpha. It's ABO, people. My fav!!! So this story is about the MC reborn into ABO world as an omega prince. And he was adamant about never being dominated by anyone, including alphas. I love this story. It revolves around the struggle of the omegas in fighting for equality right. It's not right there in your face, more like a subtle undercurrent among the power struggle between the royalty and military, along with the romance between MC and ML. TBH all through out the story, I care more about the equality right for omega... more>> instead of the power struggle. The omegas have this underground organisation supplying banned inhibitors for omegas who refuse to be married and become birthing machine. I am fixated with the idea, you know. Delay the estrus as long as you want until you found the alpha you want to be with; like what Prince Berg done with Drew. There're some plot holes though. Jon, the villain, at one time discovered the existence of the underground organisation. It might be lost in MTL but I never know how he come to know. Because he's only a Major General in his family's legion. Even Drew, Prince Berg's alpha, is not in the know. MC insisted that he didn't want to carry child (because his mentality is like that of men from current Earth) but he gave birth to two children at the end of the novel. The first time it was accidental, because he's not in estrus so both MC and ML thought it was safe. It was understandable. But why the second pregnancy happened??? Because he got used to it? He was the president of the underground organisation for fs. And he still didn't want children even after he married ML. I wish he can stick to his character who kept on insisting from his childhood that he will never carry children in his body. I think the second child is redundant if I were to based it on his character. The character I love the most is actually Randy. He's an omega and a very proactive one. The first time his inhibitor failed, he pushed down the nearest alpha. Later when he need to have another omega child to save the first, he again actively proposed to the alpha to roll him in the sheet and impregnate him. TBH, Randy is the best at dropping the bomb at the most unexpected time. An entertaining ABO (Omegaverse) novel with super slow burn romance. The premise is pretty interesting where the MC transmigrated along with his previous life memories intact into an infant in another universe where he is considered as rare breed important for the continuity of his species. As an omega he has to live with oppression as his freewill and freedom was taken away due to his unique status in society and even had to conform to arranged marriage. What is worst is that he is essentially a straight male, the... more>> very idea of marrying another male and giving births makes his skin crawl and turns his stomach. Basically the story is focused on how the seme who has transmigrated along with the uke (the MC) tries his very best to wins over the uke whom he has loved long before their reincarnation into this ABO universe. To the seme, it's like he is given a second chance to capture the love of his life which he was not able to in their previous lifetime. This new and unique environment has given the seme new hope as he could now freely pursue the MC without suffering society's condemnation. I really like that the MC is not a pushover and could totally takes care of himself even though his breed is supposed to be the weaker s*x. He is headstrong and defies the very definition of an omega. He is strong, feisty and highly spirited. Even all those alphas around him are wary of his presence. At times I did pity his devoted and loyal wannabe-seme for having to cater to his willfulness. But that guy is a super resilient and patience even though he knew his chances are rather slim since his target is a highly prideful heteros*xual male. The slow burn romance is frustratingly slow but I have enjoyed the seme's undying devotion and passion towards the uke. Besides the main couple's lengthy courtship, the story is adequately peppered with some action scenes such as mech and airspace battle plus political conspiracies. It also has interesting side characters with their own set of romances to keep us readers entertained. I gave this novel a 4 stars because there are some questionable plotlines and I find that the wrap up of the main couple's difficult courtship was too abrupt and hastily done hence a little killjoy there. Right after finishing ABO Cadets, I binge-read this through Google Translate and though it was interesting, it pales in comparison with ABO Cadets. This novel is about the story of Caesar's (ABO Cadets ML) older brother who is a transmigrator from Earth. Nobody knew about it except for the ML who was also his bestfriend on Earth. The ML had always loved ML back on Earth but since the MC was straight, he dared not confess and just stayed as a friend. So imagine how happy ML was when he found... more>> out that MC also transmigrated and an Omega at that! The story started from birth until adulthood where the MC did everything so as not to have the same fate like the other omegas. He is known as a violent prince so no alpha is willing to marry him except for the ML of course. So far, the story seems to have much promise; the MC (Ji Ran / Xi Wei) is an interesting character who seems like he would be the alpha male type, but very quickly in his reincarnation, he's established as an Omega in the new world. I suspect his 'assistant' might but the other guy reborn as the alpha born on the same day. Oh my goodness!! I'm in love with this novel!! Everything about this novel is gold, from the story line to the character and to their personality! All the interaction between the characters is good.